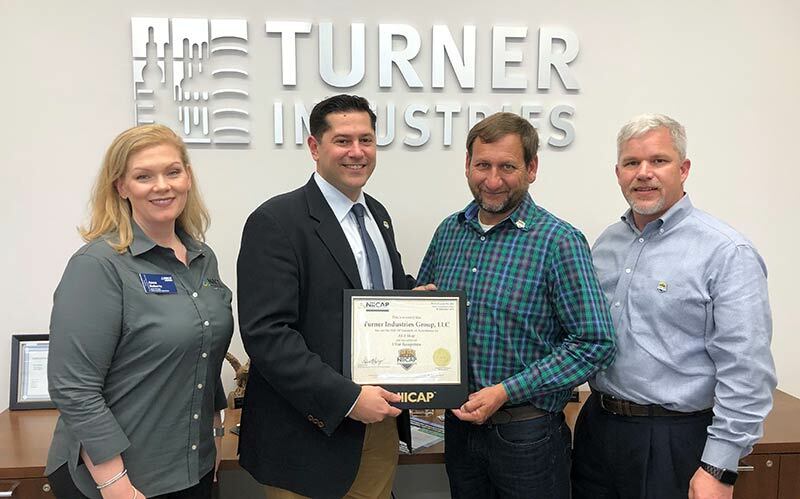 The NACE International Institute is proud to announce that Turner Industries has earned its Contractor Accreditation Program's coveted NIICAP 5 STAR rating. The NACE International Institute’s Contractor Accreditation Program (NIICAP) is designed to validate a coating contractor's quality assurance program, support practices, and production processes. Turner first achieved its NIICAP accreditation in 2016 and has since met or exceeded the program’s criteria. The Institute’s 5 STAR rating recognizes a company that maintains, or even exceeds, the high standards required to receive initial NIICAP accreditation. NIICAP is an industry‐designed program for contractors involved with professional project management and project performance in the surface preparation and coating or lining application industry. The program was created in response to industry-wide demand for an alternative to other coatings contractor accreditation programs. To qualify for 5 STAR recognition, a contractor must achieve and maintain a specific score for both sections of an "AS-1" audit, which evaluates a company’s business practices, personnel availability, training practices, equipment availability, and company history. "The 5 STAR recognition was not designed to be an easy next step, it’s a challenge for any coatings contractor to achieve, even after achieving NIICAP for the first time," said Helena Seelinger, executive director of the NACE International Institute. 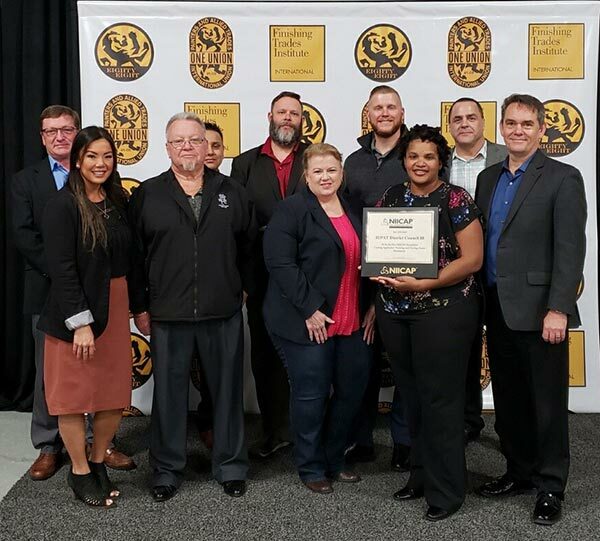 "To receive this recognition, Turner Industries had to demonstrate consistent, superior work and management practices during the course of three consecutive audits and they rose to the occasion at every step." By earning the NIICAP seal, contractors verify that they are fully qualified to perform most up-to-date, proven techniques and practices in coatings preparation, application and inspection. Turner Industries is now one of only two companies to merit this distinction. 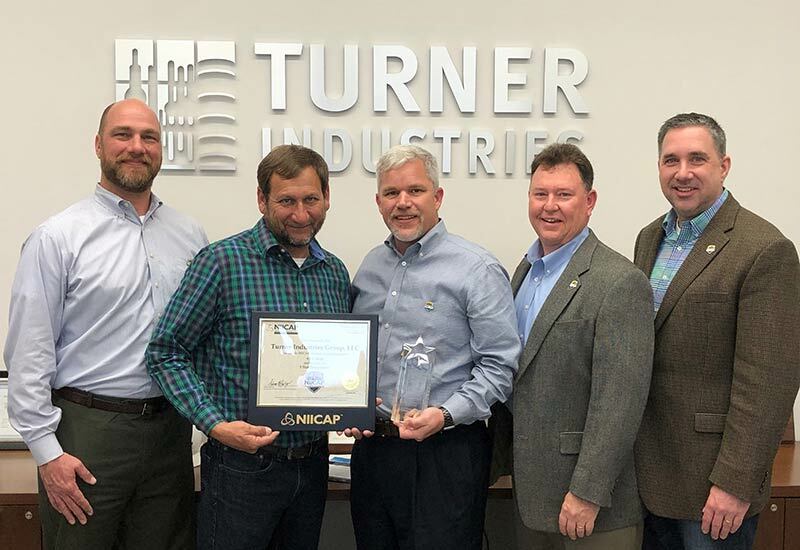 "At Turner we are dedicated to providing our customers with top quality, reliable work that meets the highest standards in the industry" said Richard Kelly, Operations Manager of Turner Industries’ Port Allen facility. "There's no better way to demonstrate our commitment to excellence than to earn the industry’s premier accreditation." ‍Turner Industries employees build, maintain and service the nation’s heavy industrial sector helping make the life we live possible by supporting the companies that produce fuel, energy, and products essential to our daily existence. Since 1961, Turner has steadily worked to provide one solution for our clients’ success. To do this we find, develop and support the very best people for the jobs we perform throughout our four divisions: Construction; Maintenance and Turnarounds; Fabrication; and Equipment and Specialty Services.